This is the Waldo, or Riddle Mill, covered bridge south of the town of Waldo, Talladega County, Alabama. It is 115 ft. long and was built about 1858. It was in use until 1960 when it was condemned by the state and its approach spans were removed. A park was created at one end of the bridge and plans were made to restore the bridge, but the bridge has been neglected for almost 60 years. 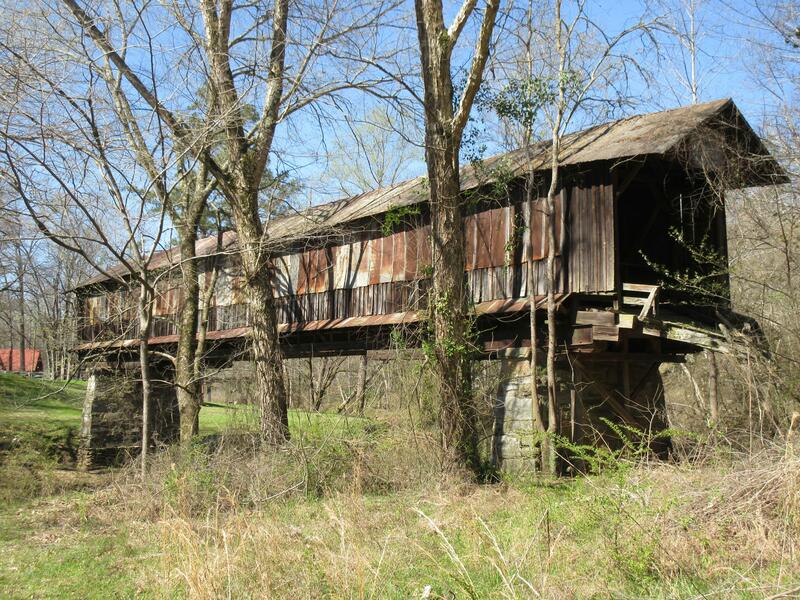 It is one of eight antique wooden covered bridges in Alabama.